GBPUSD has acted clearly according to the predictions so far. But now traders have to act very carefully as some trend reversals start to show up themselves. On one side we see middle line of Andrew pitchfork that worked perfectly as a support line but did not have a strong force to shoot price to the higher line. On the other side the analysis shows us that the pair breaks the descending triangle and starts its road to 1.4349 level, but this bearish trend needs to be confirmed by punching that support which we have mentioned above. 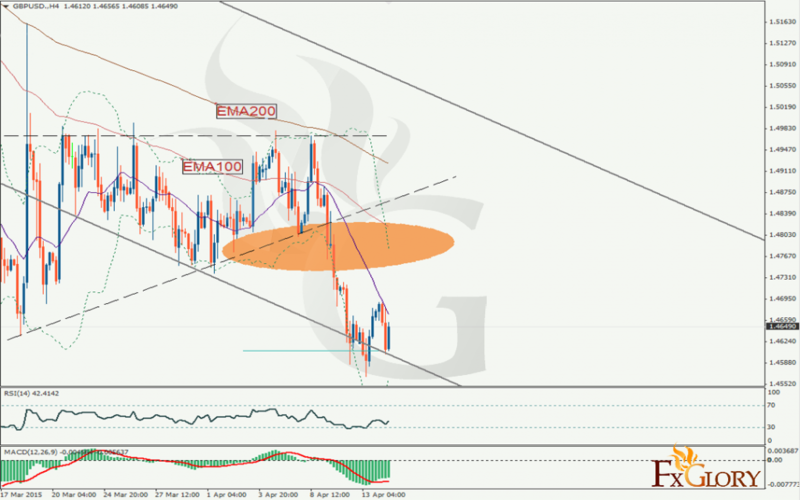 In case of Bullish trend we will wait for 1.4851 level as a long term TP.